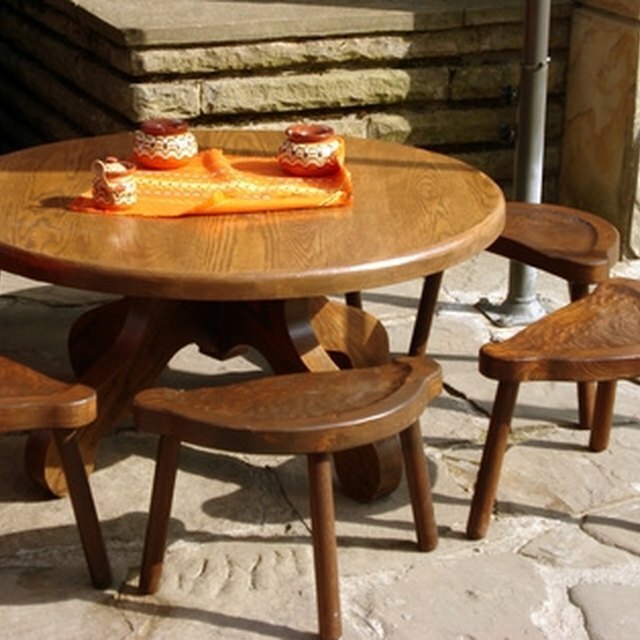 Half round tables combine style and function to entrance ways and dining rooms. An elegant choice of wood crafted with focus and consideration results in an organic decorative feature for the home. Although building your own half round table might seem arduous at first, the majority of time and focus needed revolves around the sanding and staining of the wood. A table constructed out of materials such as walnut and hickory can cost several-hundred dollars in stores, but building one at home will cost much less. A half round table can be a perfect spot for candles or other light fixtures. Lay the boards down in a walnut-hickory-walnut-hickory pattern so you have a 2-foot by 4-foot area of wood. Glue the edges of the boards together by wiping the edges off with a damp cloth and then applying a bead of glue. There should be plenty of glue so that when it is clamped, the glue is squeezed out evenly. Secure the clamps around the wood and be sure the wood is flush. Set time for the glue is listed on the bottle. Remove clamps once the glue is dry. Measure on the 4-foot side, 2 feet to the middle. Place a thumbtack at this measurement on the edge. Tie a 2-foot piece of string to the tack, and tie the other end to a pencil. Draw an arc across the table top by using the length of your string as a guide. Cut along the arc with your jigsaw. Be sure to cut carefully; the more jagged edges there are, the more sanding you will have to do. Sand both sides of the table and the round edge with the belt sander so it is smooth. 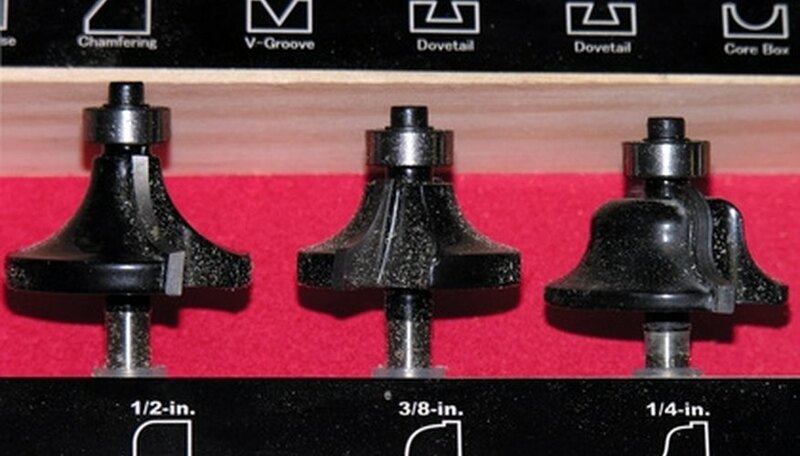 Rout out a round edge on both sides with your 3/8-inch angled bit. Be sure to wear safety glasses. If you perform this process fast your are likely to split wood, however if you perform it too slow you will end up with burn marks in the wood. Attach the prefabricated table legs to the table. Sand the table top and the legs with the medium-grade sand paper, and then with the fine-grade sand paper. The more time that is taken with this step, the more professional this table will look. Apply wood stain and let dry. Apply the polyurethane and let dry. The sharper the router bits, the less likely they are to chip or split your wood.